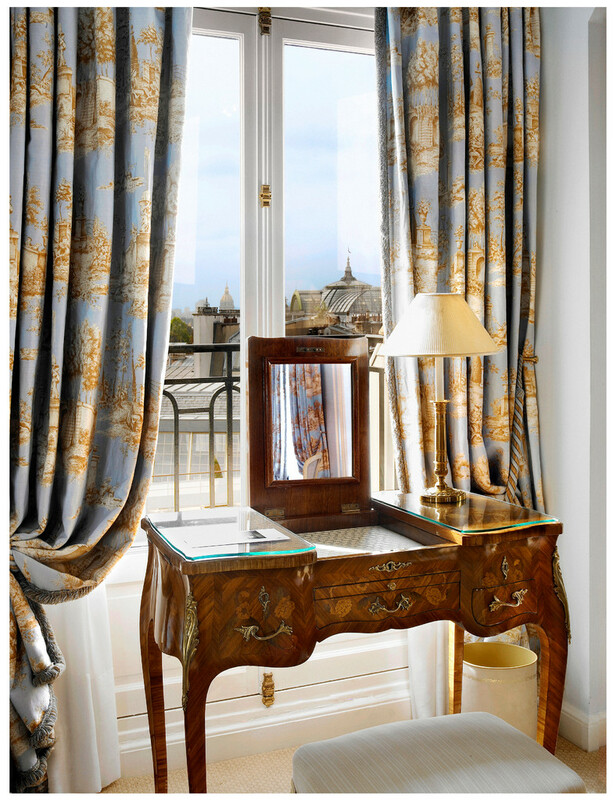 Le Bristol Paris is a unique place in Paris for its exemplary service and great refinement. 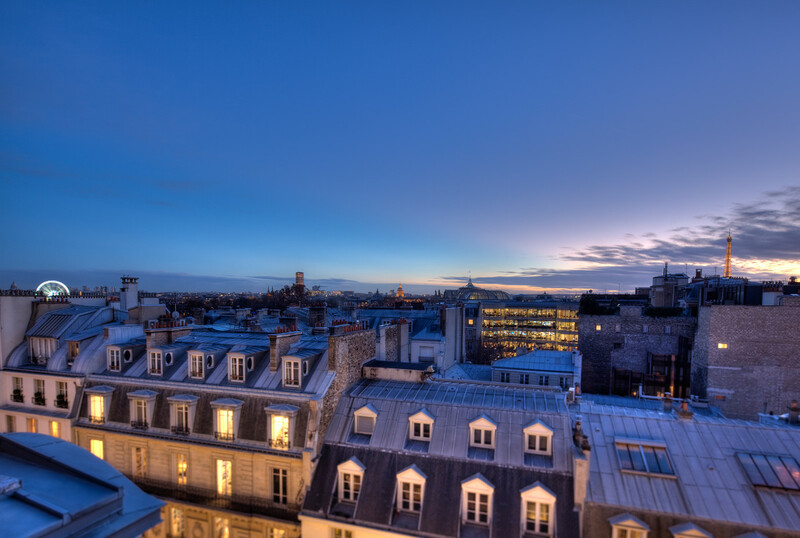 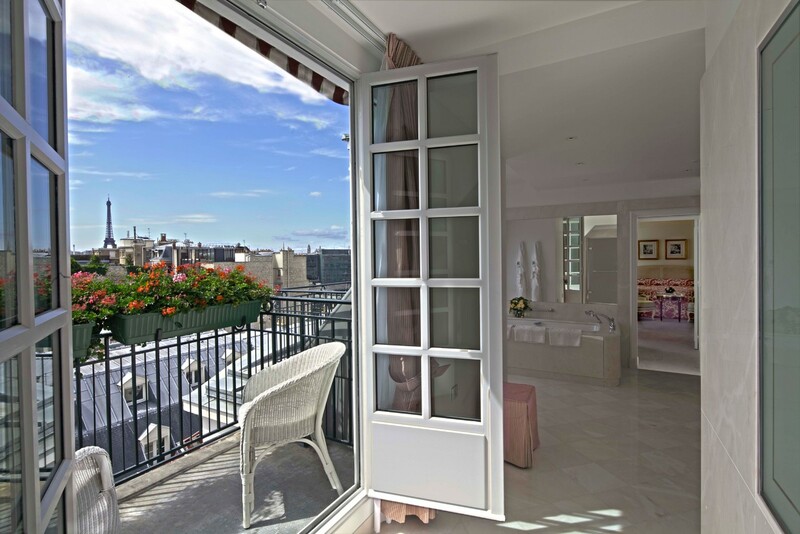 Located on the elegant rue du Faubourg Saint-Honoré, at the heart of the city's arts and fashion district, it is the only luxury hotel of Paris belonging to a European family. 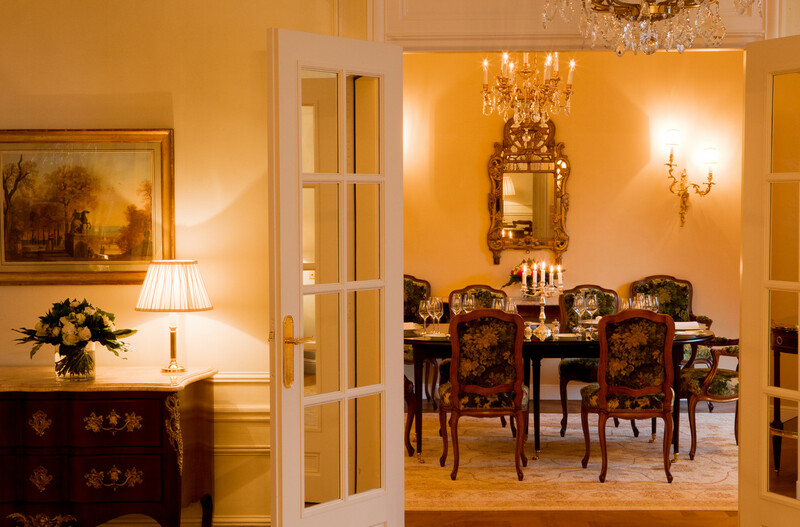 The hotel has been welcoming privileged guests since 1925 and features 188 rooms and suites, all decorated in elegant 18th century style. 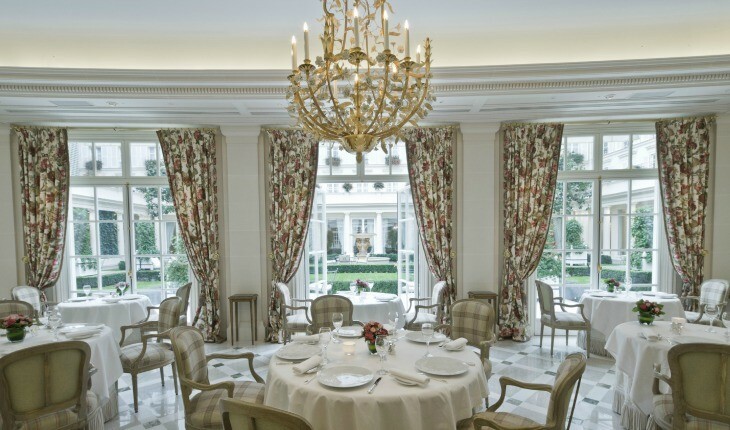 Three Michelin Chef, Eric Frechon, creates everyday an exceptional, generous and innovative cuisine in the new gastronomic restaurant « Epicure ». 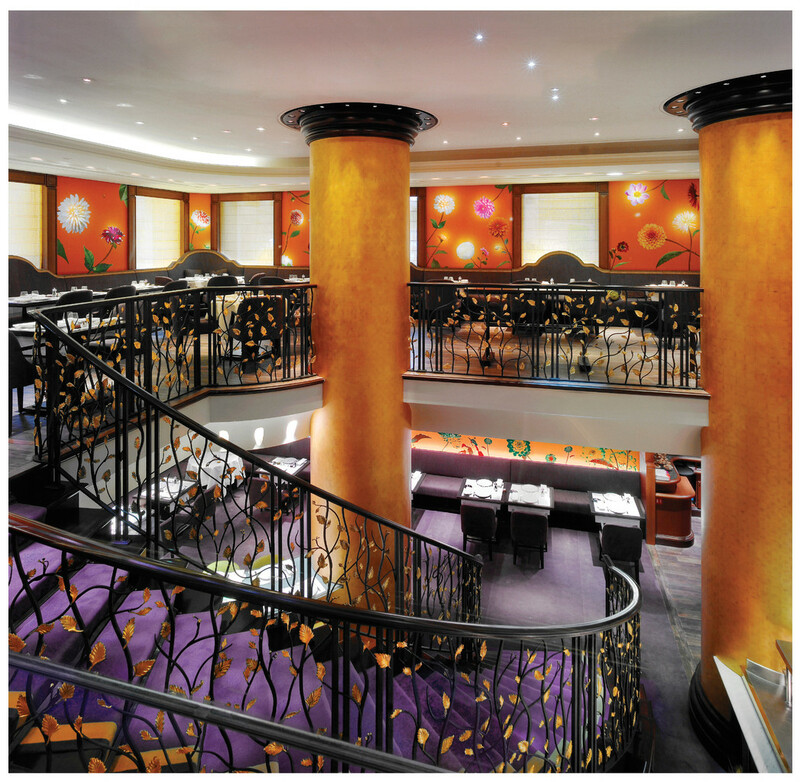 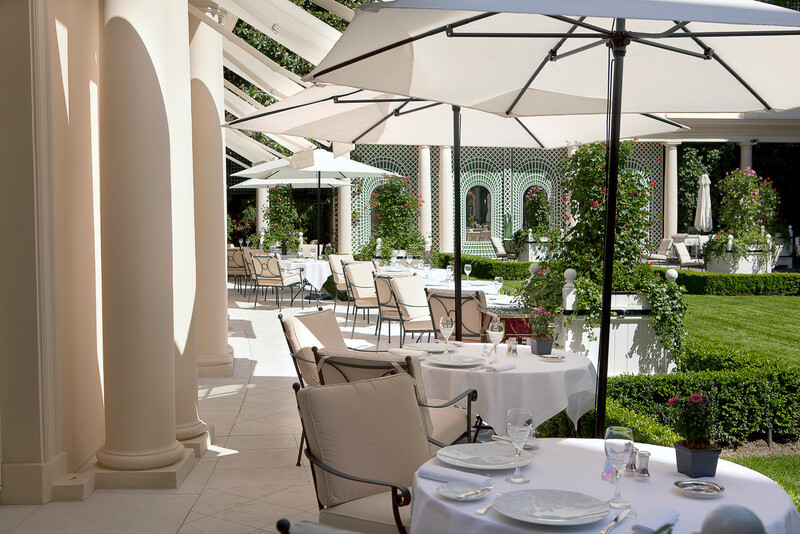 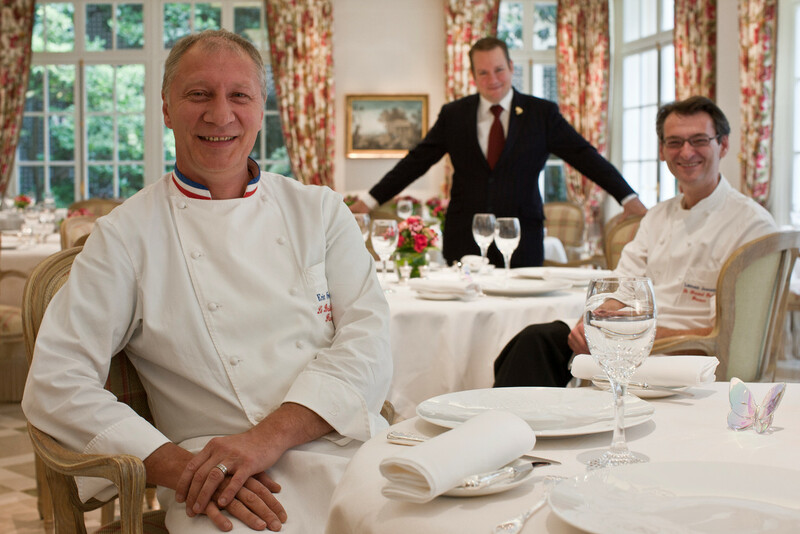 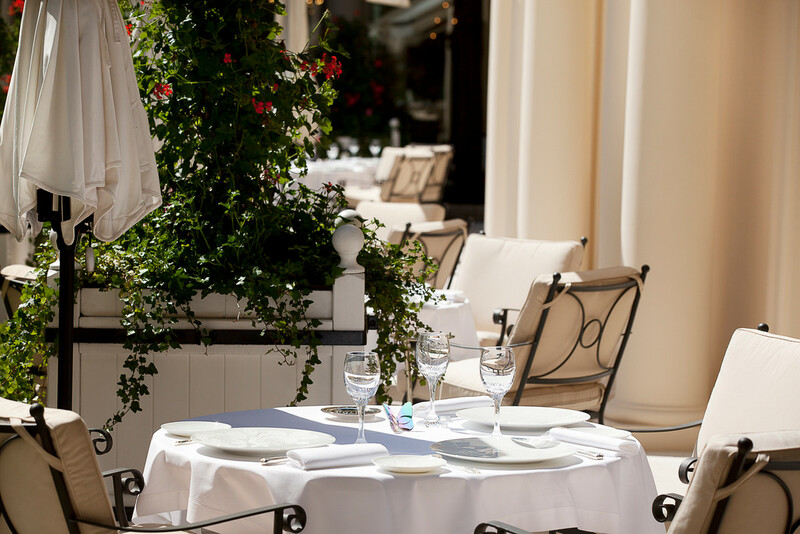 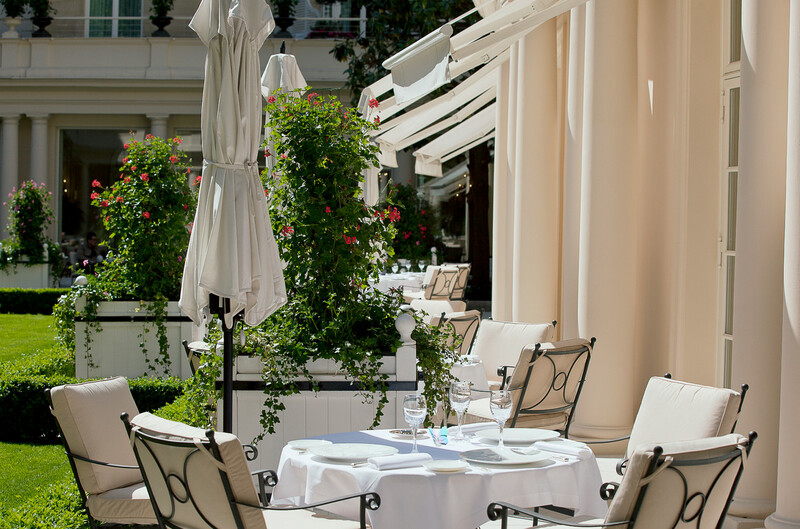 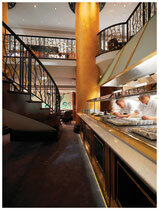 Le 114 Faubourg, the luxury brasserie opened in 2009 is a garden of earthly delights in a warm and Parisian atmosphere. 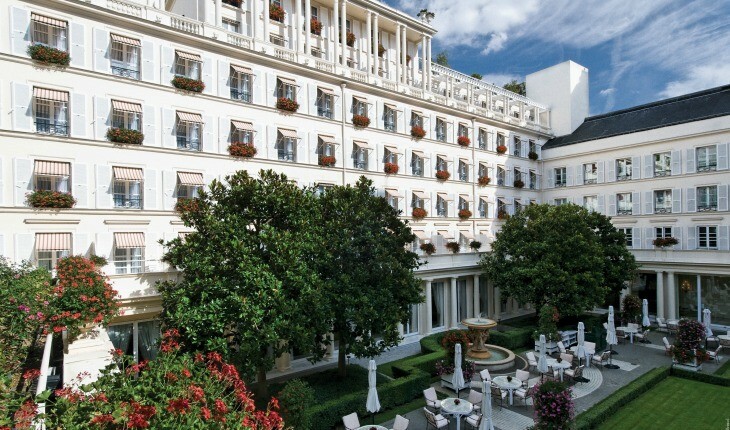 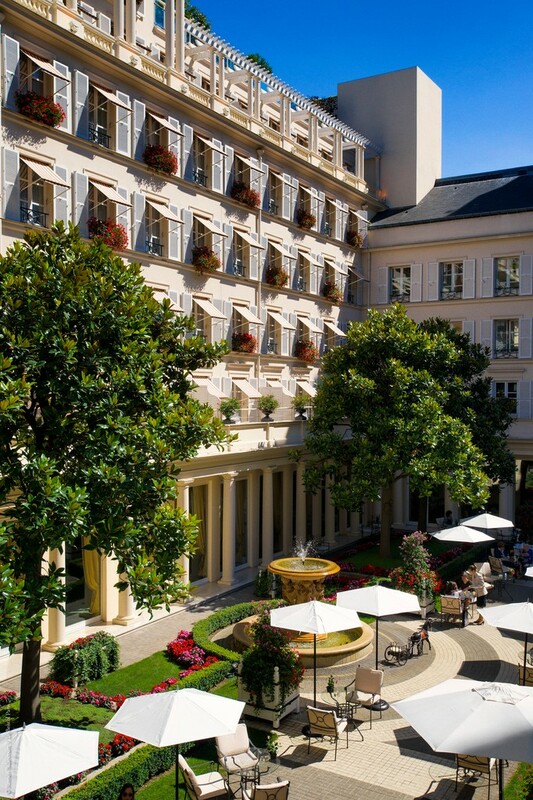 The authentic 1200 square meters French-style garden of the hotel, with its magnolias and its “fontaine aux amours” is a haven in the heart of the city. 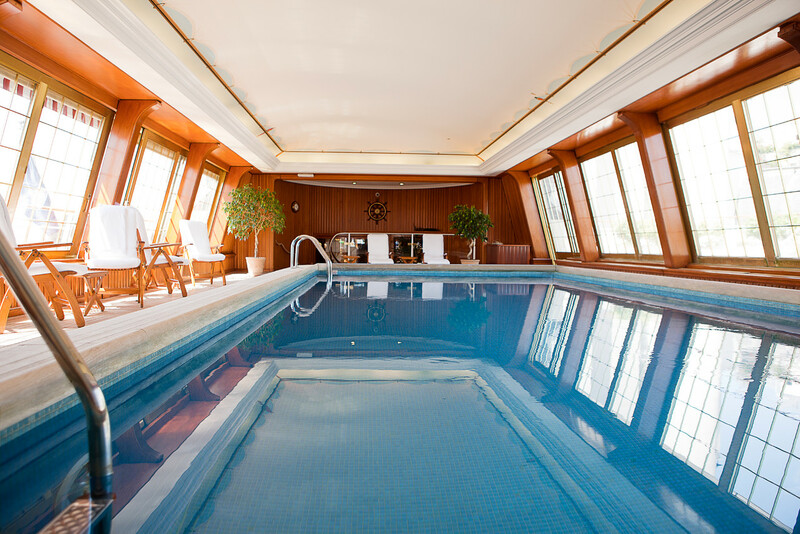 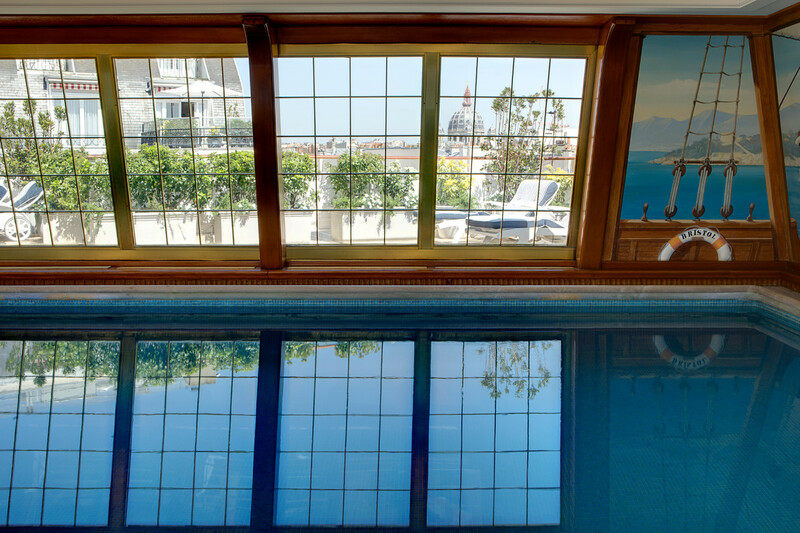 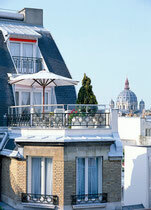 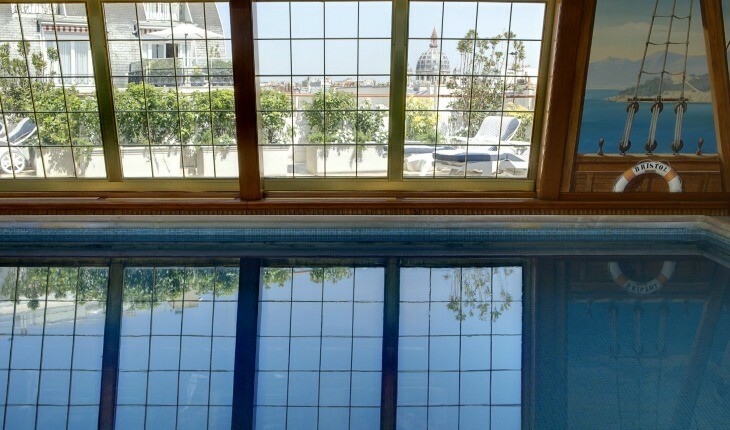 On 6th floor, the swimming pool made of teak offers a panoramic view of Montmartre and Paris’ rooftops. 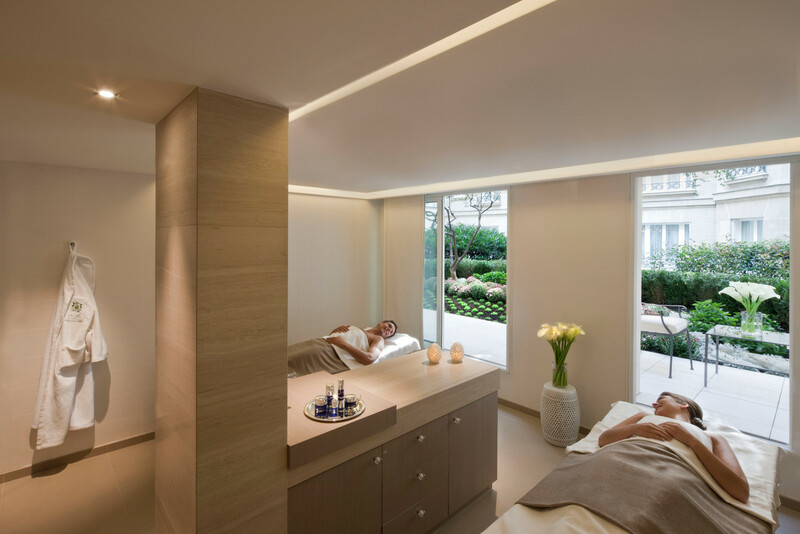 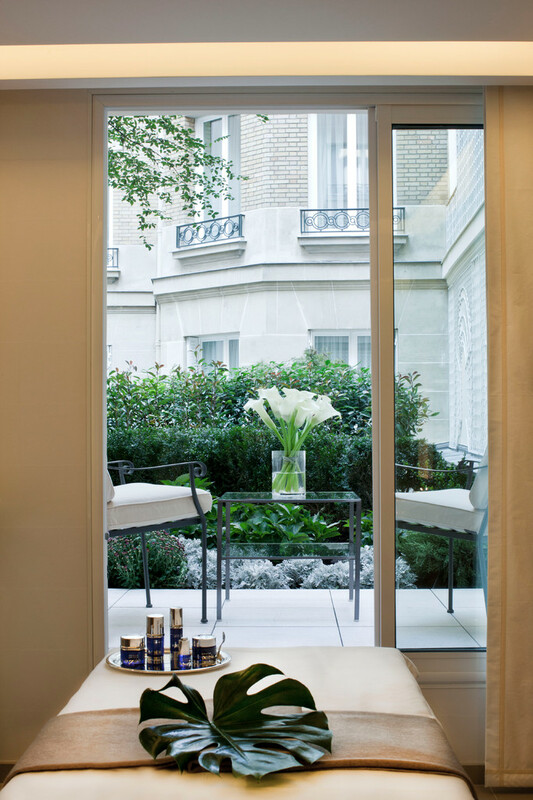 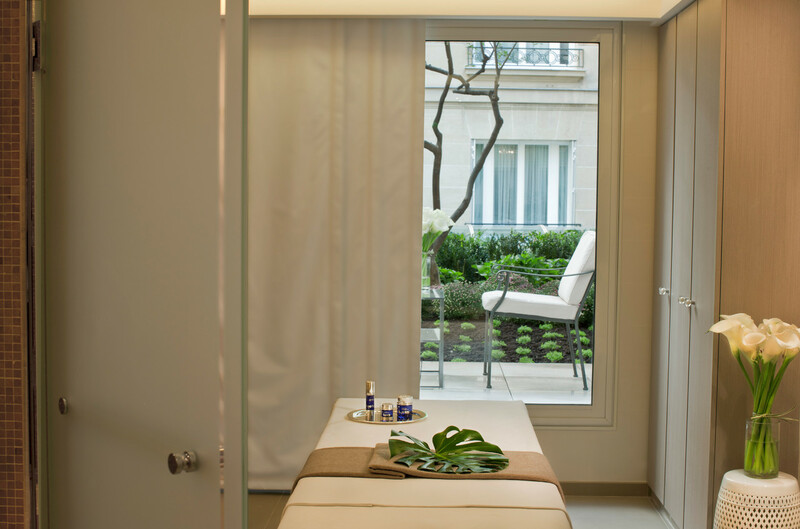 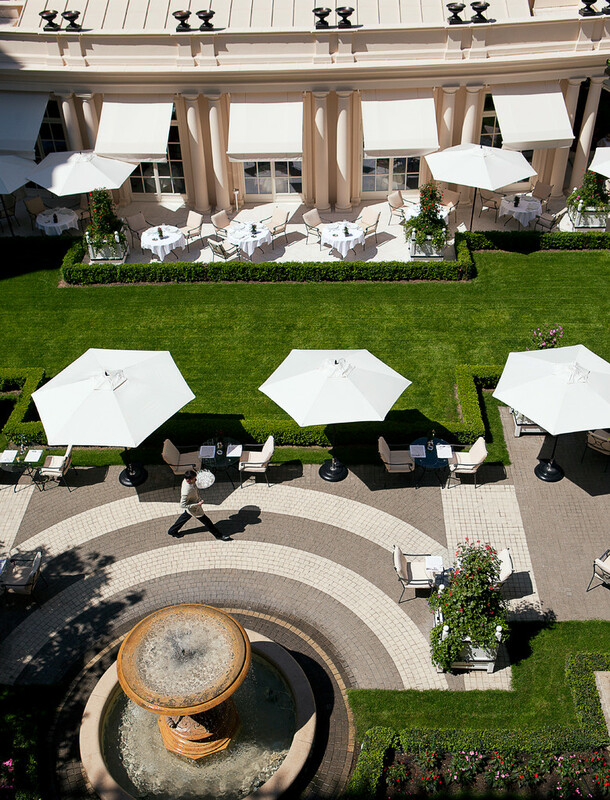 The Spa Le Bristol by La Prairie , which opened in October 2011, with its cabins overlooking a private garden, completes this exceptional palace. 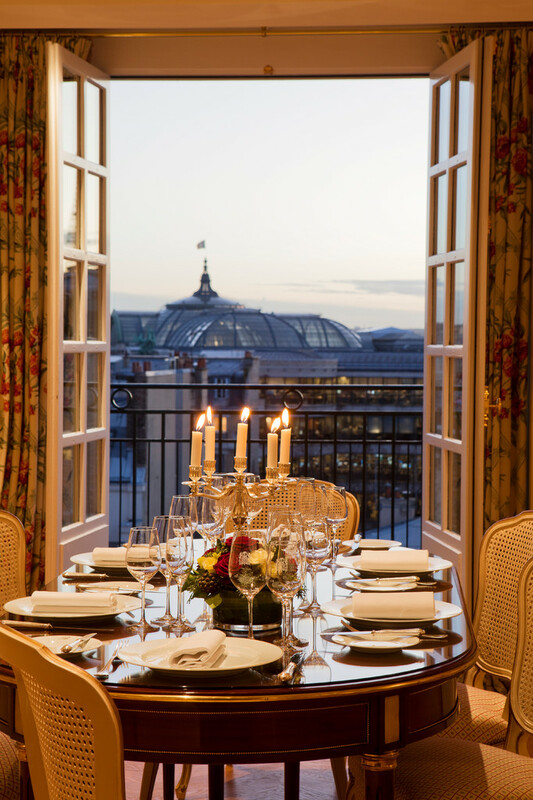 The opening of Le Bar du Bristol, the very trendiest Parisian evening "rendez-vous", completes a wide ranging renovation programme extending over the past three years and costing 110 million euros. 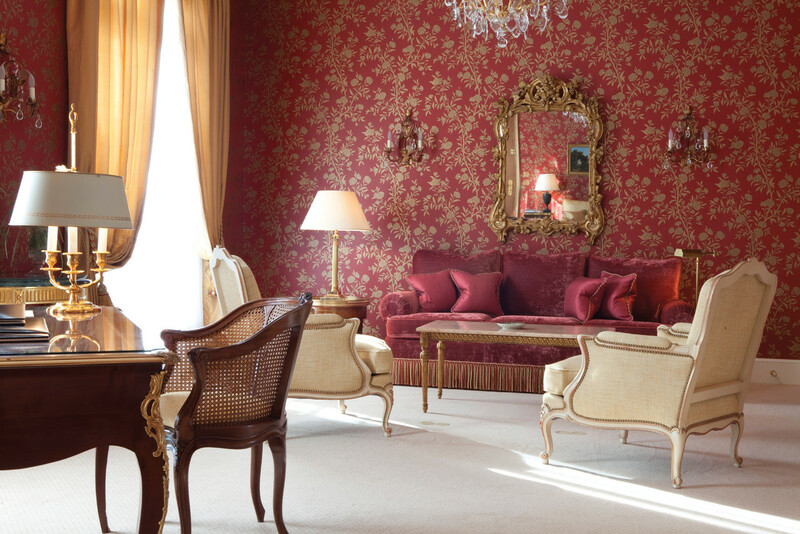 So many assets that make hotel Le Bristol a unique and unforgettable place in the french capital. 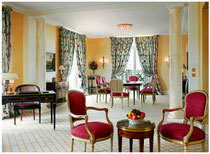 Spanning 320 m², the Imperial Suite is now the hotel's largest suite. 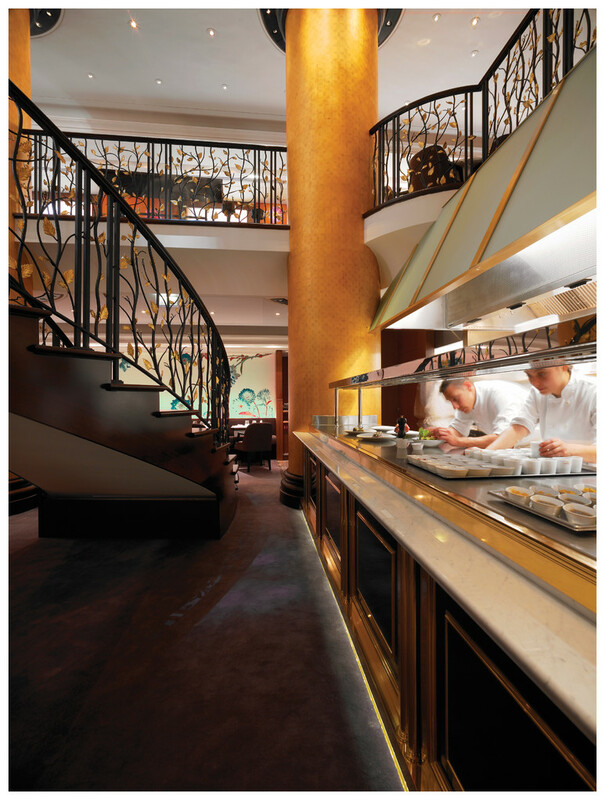 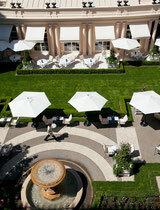 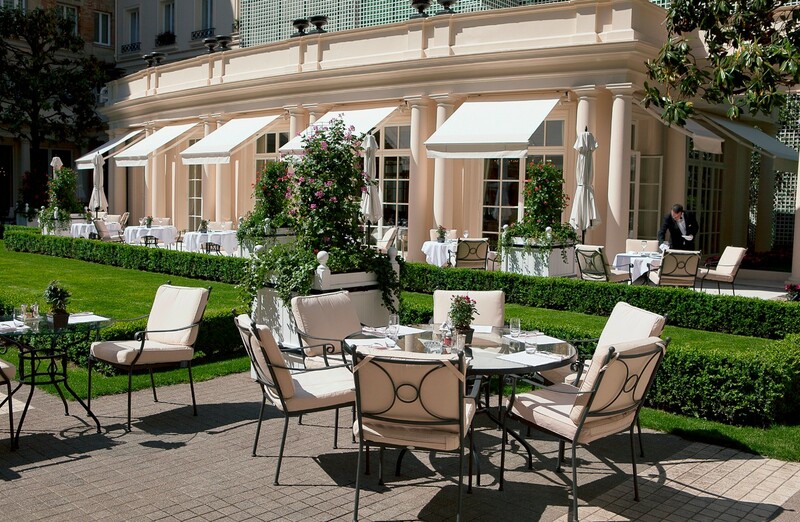 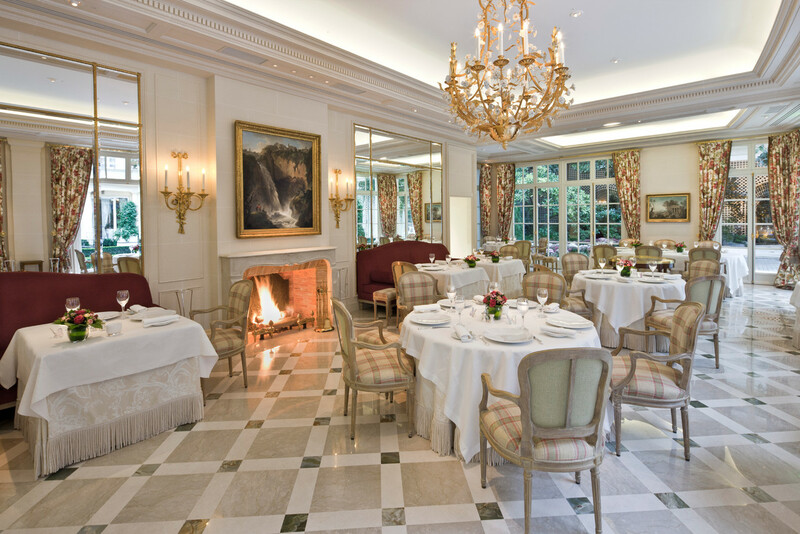 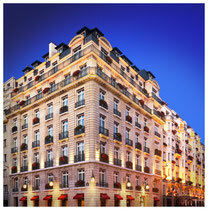 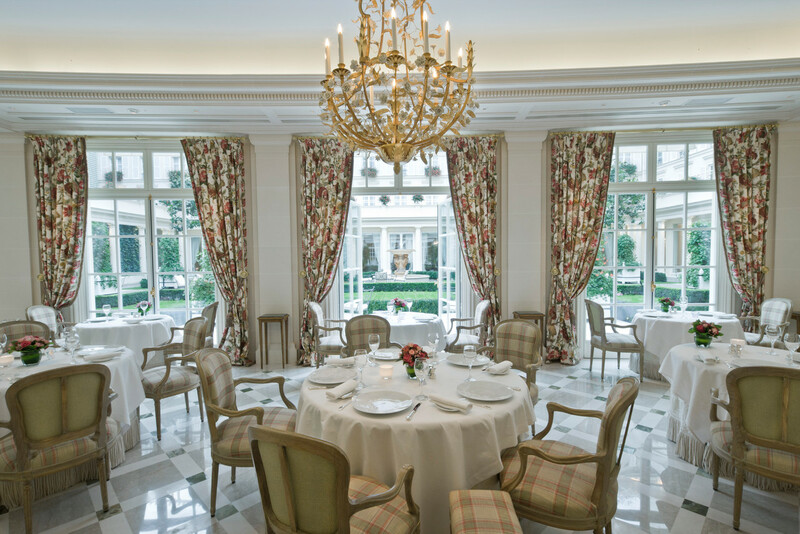 Its decor has been overseen by Mrs Maja Oetker, working with the famous architect Pierre-Yves Rochon. 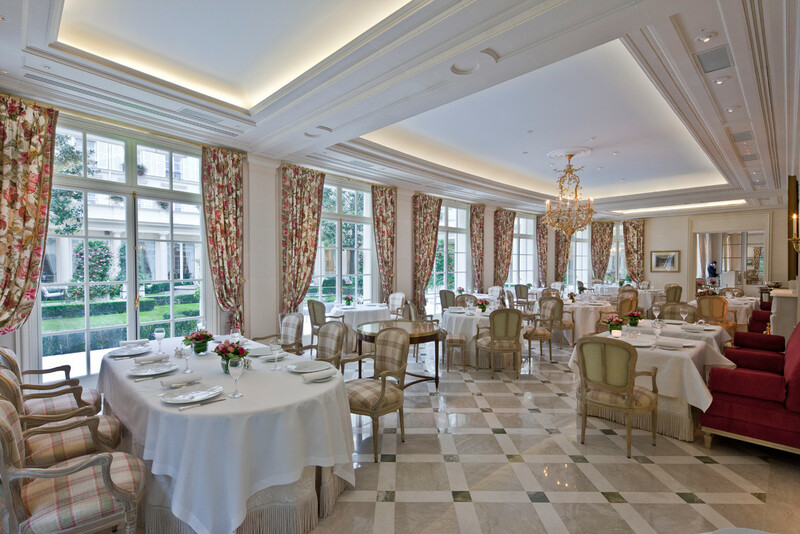 The dining room, with its impressive Versailles parquet, overlooking the hotel’s magnificent French-style garden can host up to twelve guests. 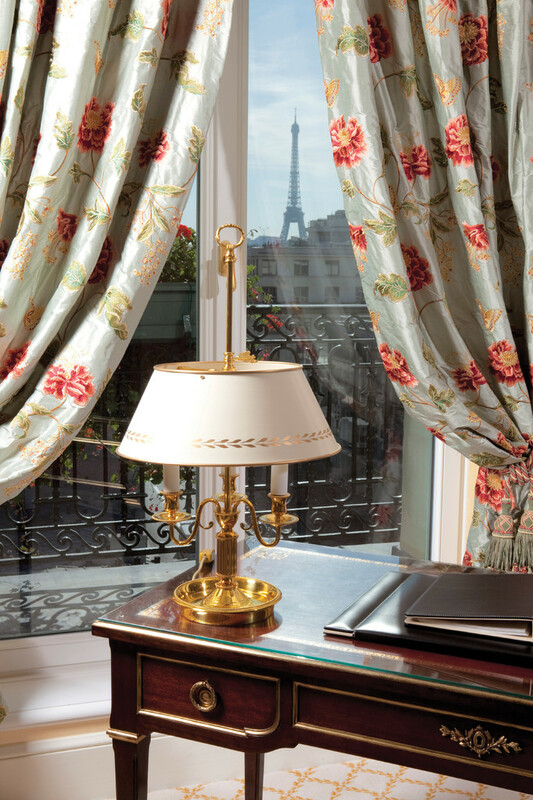 The adjacent lounge, the furniture for which was obtained from the famous French establishment Taillardat, is decorated with high quality fabrics featuring gentle shades from the house of Canovas, creating a friendly atmosphere brimming with pure Parisian style. 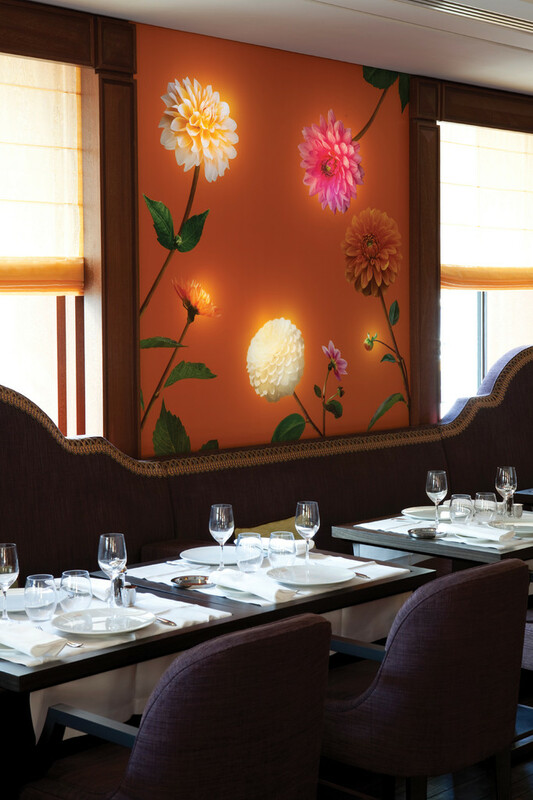 On the walls, among other things, guests can admire a magnificent painting dating from the 18th century by the French painter Jean-Baptiste Pater, portraying a country festival. 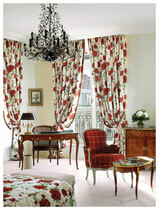 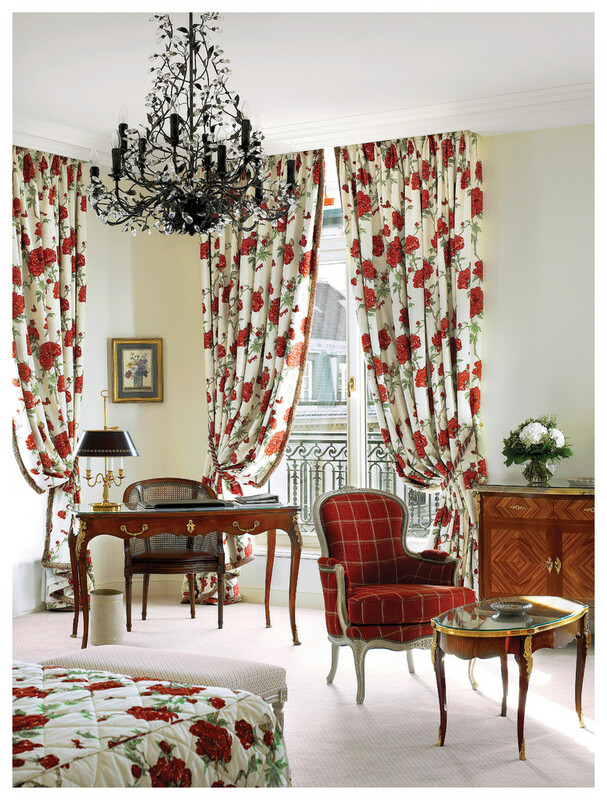 Bathed with natural light, the main bedroom is decorated with floral fabrics from Canovas and Veraseta. 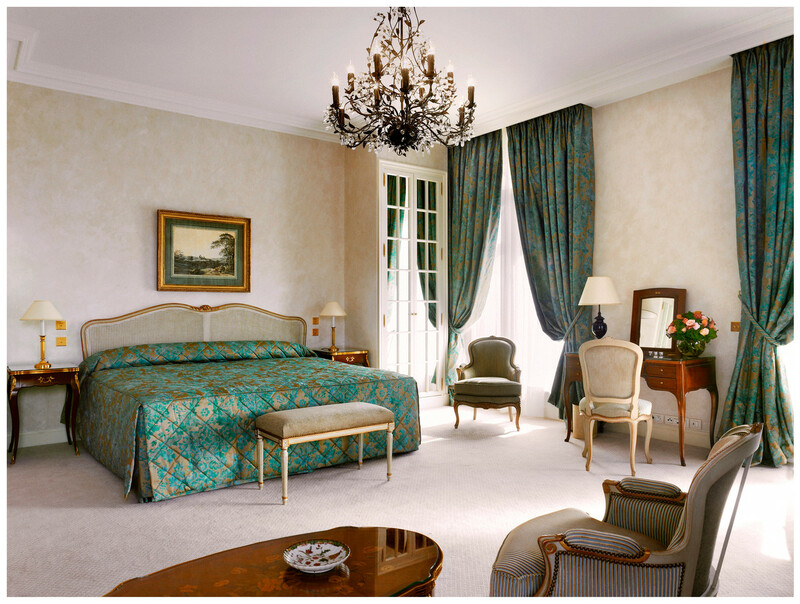 Boasting a lounge area and a large walk-in wardrobe, this 30 m² bedroom provides an opportunity for guests to enjoy a moment of absolute relaxation. 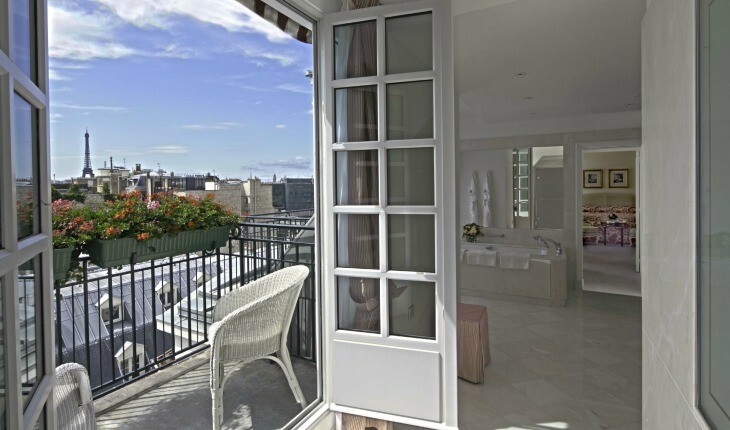 This outstanding suite also features a huge 23 m² bathroom overlooking the garden. 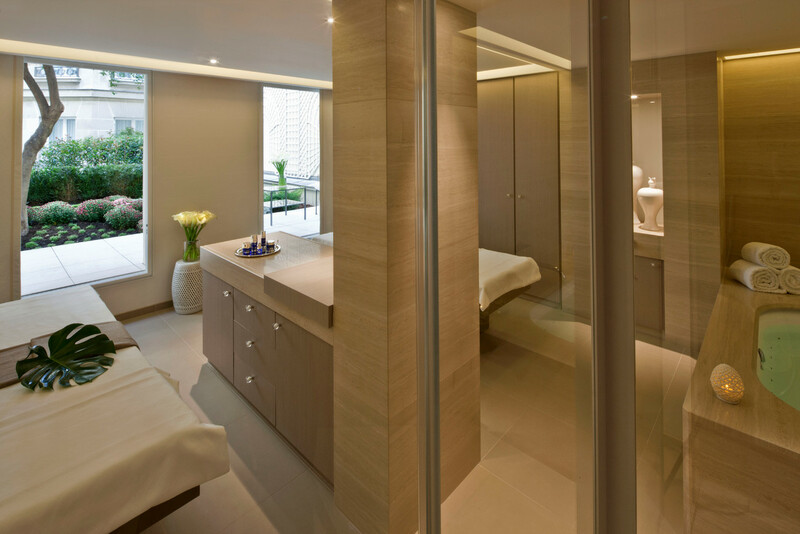 Crafted from Aurora pink marble, enhanced by polished grey-blue precious stones from Savoie and including a steam shower and a bath, it is synonymous with well-being in every respect and provides the perfect place to unwind. 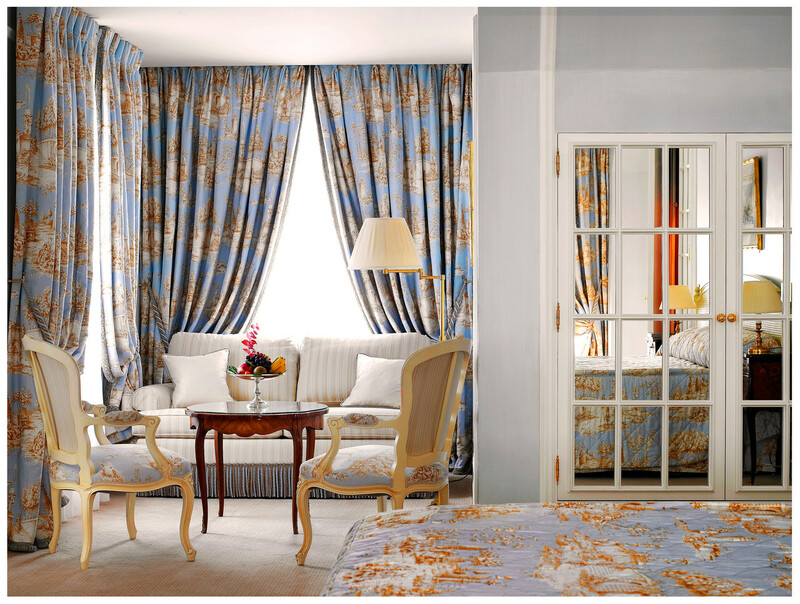 To round off this magnificent suite, the second bedroom is bright and spacious, with a sur-face area of 30 m², decorated with sky blue floral fabrics from Canovas and includes a lounge area. 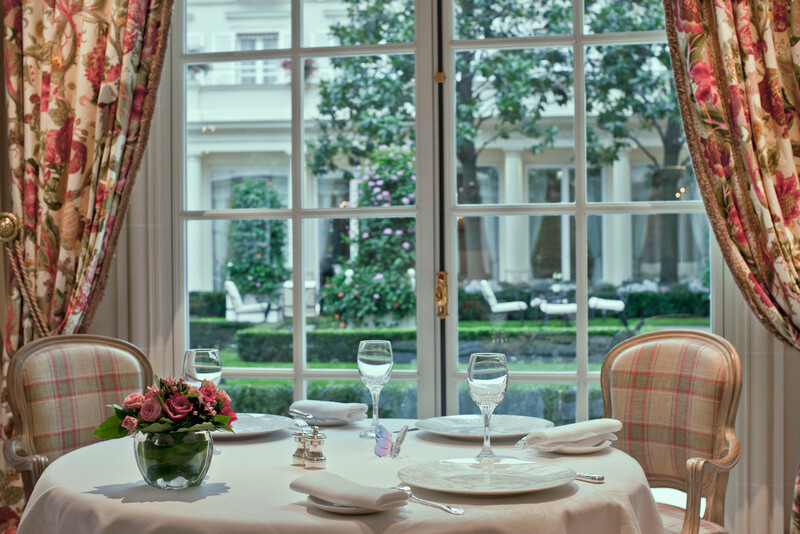 Decorated with antique prints and masterpieces, particularly a magnificent watercolour dating from the early 19th century by the English painter William Henry Hunt, it offers a pleasant view across the hotel's flower-decorated courtyard. 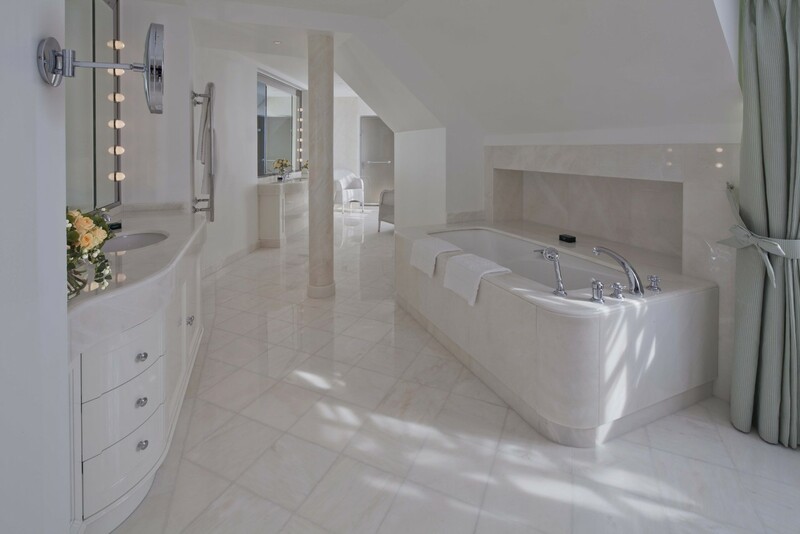 This bedroom is accompanied by a 20 m² bathroom which also enjoys generous amounts of light in the daytime, comprised of a bath, a separate shower and double washbasins. 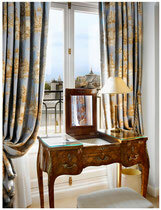 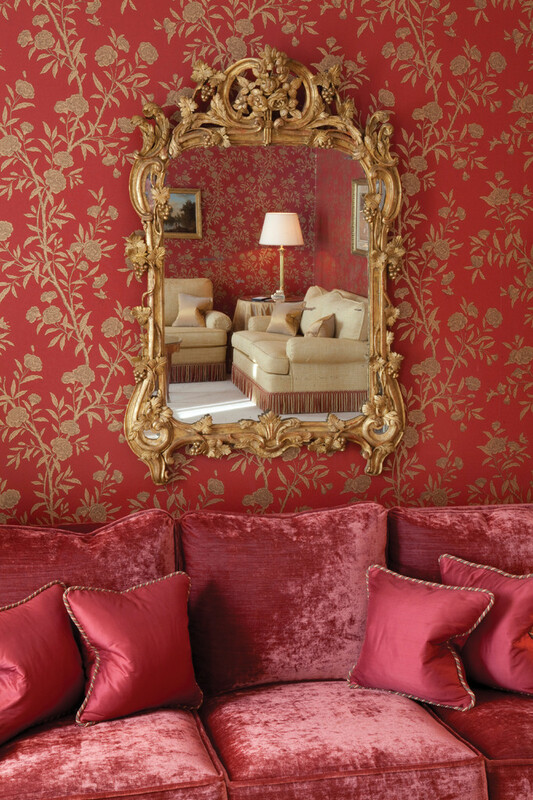 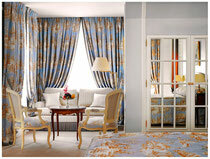 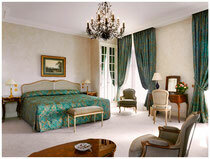 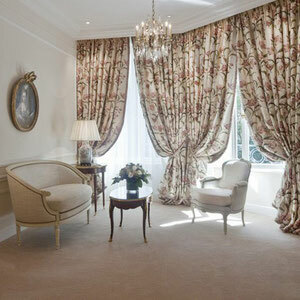 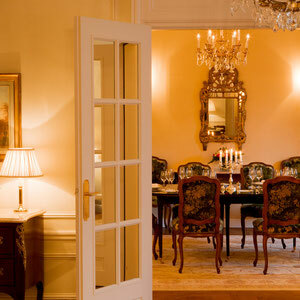 The Imperial Suite offers all the prestige and elegance of a classical residence in the very heart of Paris. 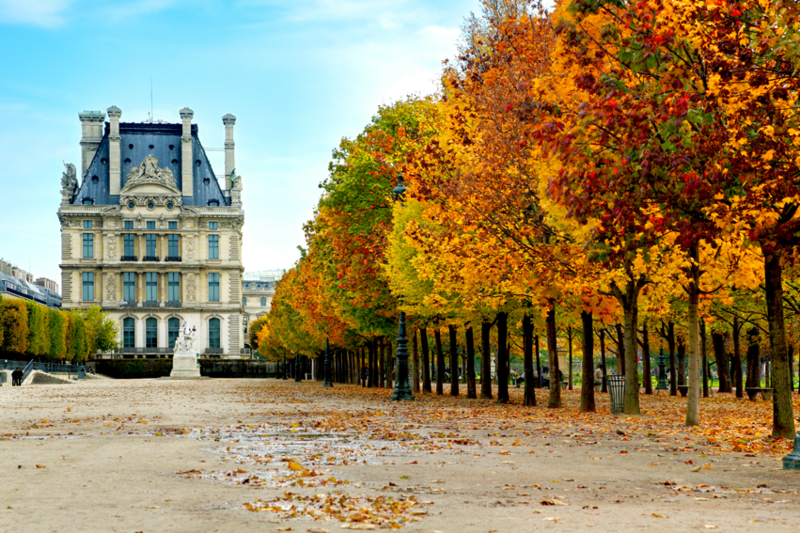 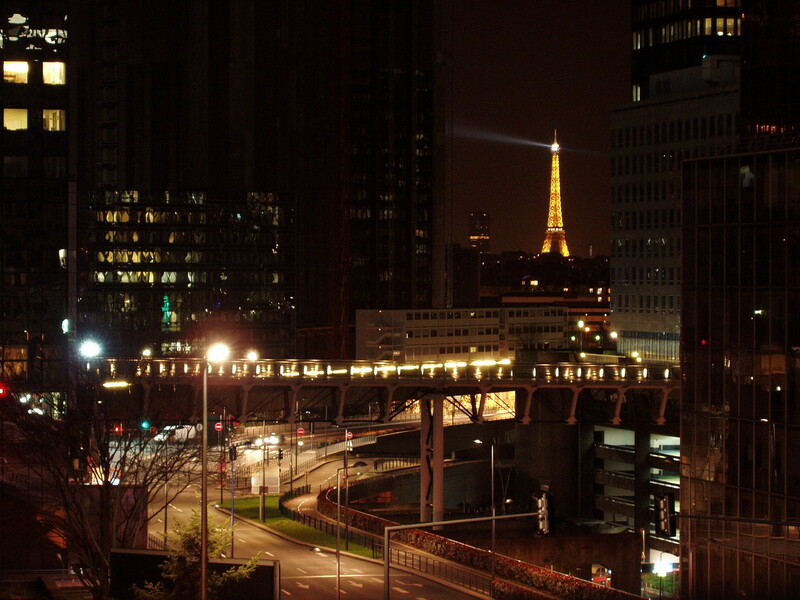 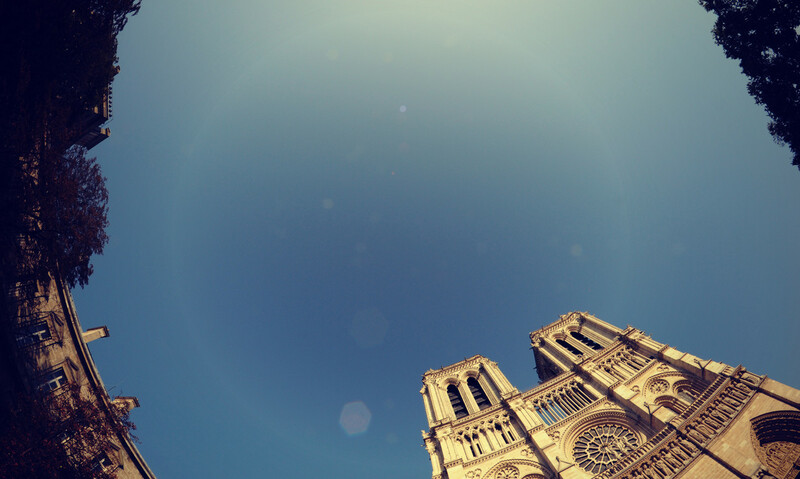 With its numerous monuments and museums, its parks and countless boutiques, you will never finish exploring Paris. The concierges of Le Bristol Paris, member of the Clefs d'Or association, are here to help you plan your visit to the city and all its secret corners. 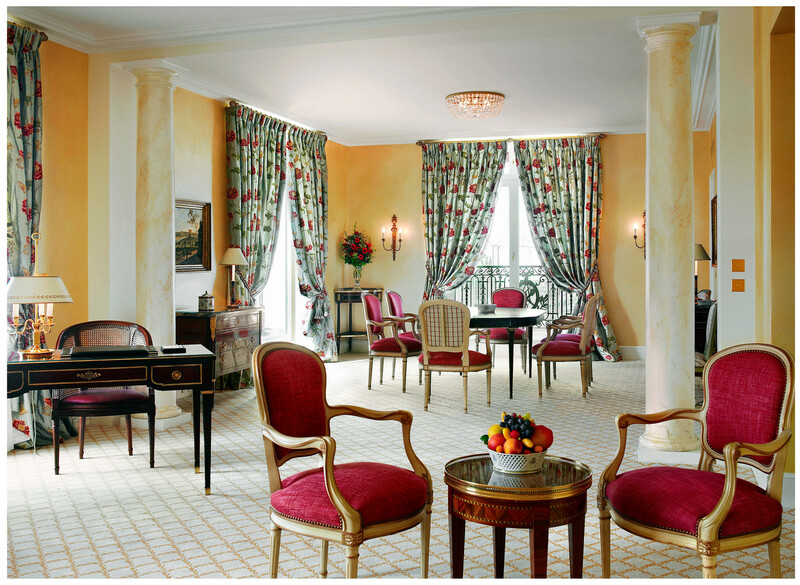 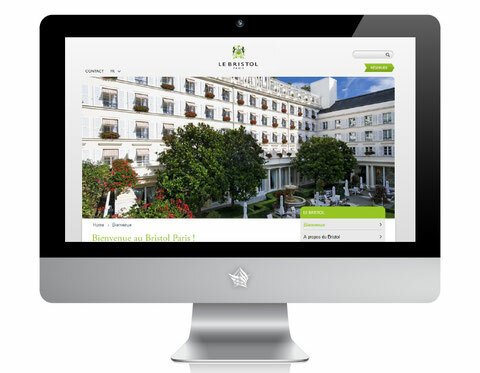 Nothing is too much trouble for the concierges at Le Bristol, whether you need restaurant reservations, theatre tickets, car rental or simply some expert advice. 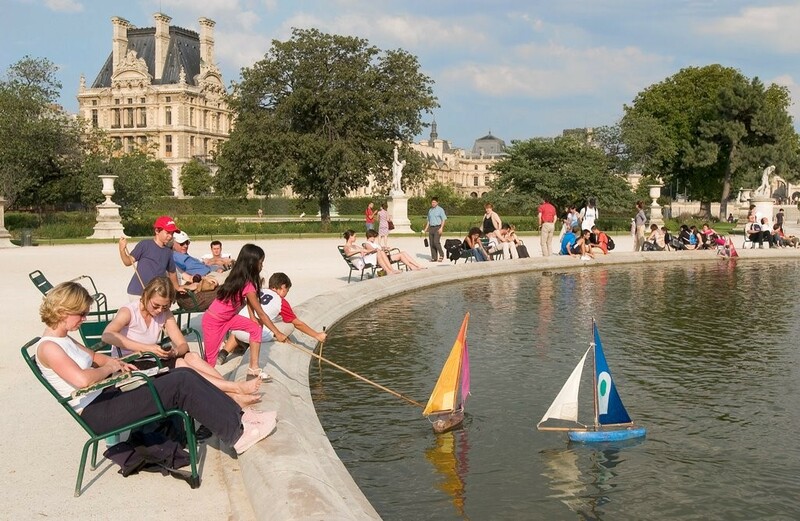 Finally, children will of course be delighted by a trip to Parc Astérix or Disneyland Paris!